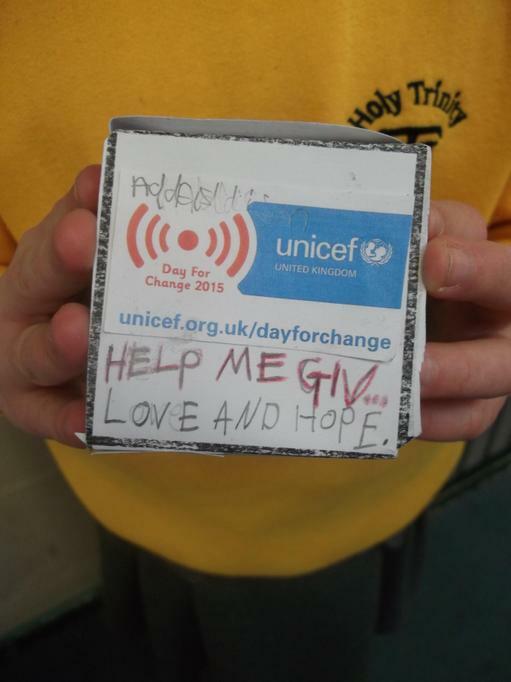 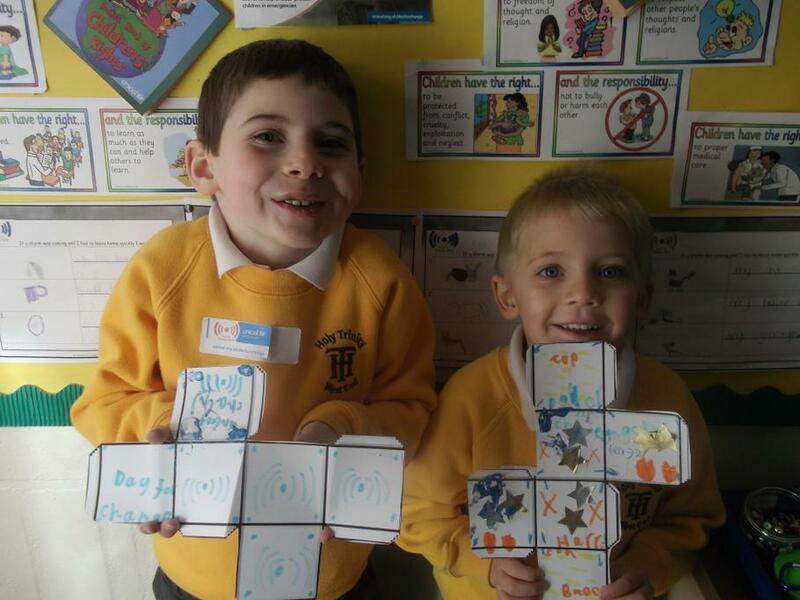 On Friday 6th February 2015, the children and staff took part in UNICEF's Day for Change. 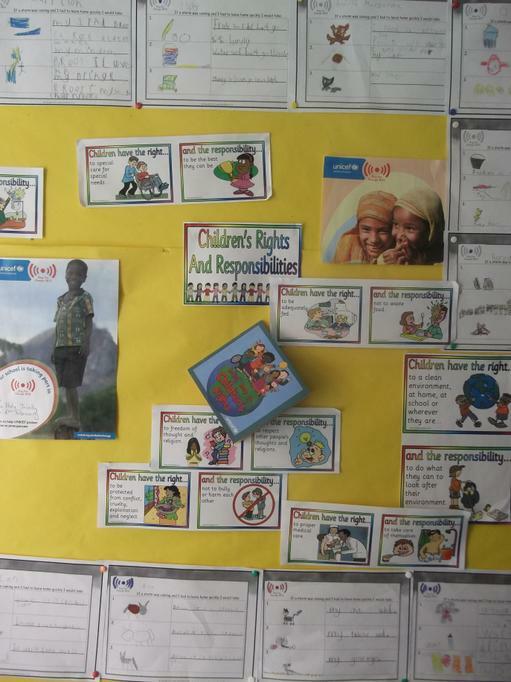 The theme of the day was 'Protecting children in emergencies'. 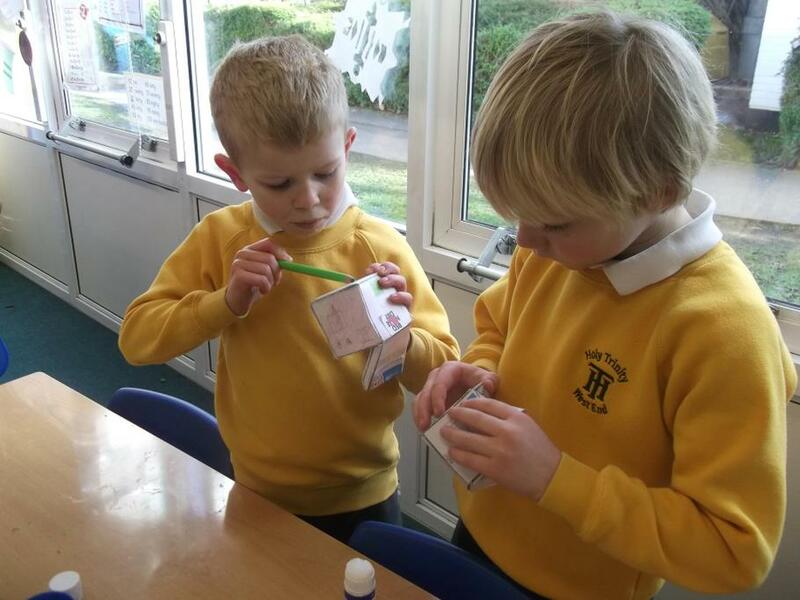 The children learned about the different types of emergency that might affect children around the world, including typhoons, floods, droughts, war and disease. 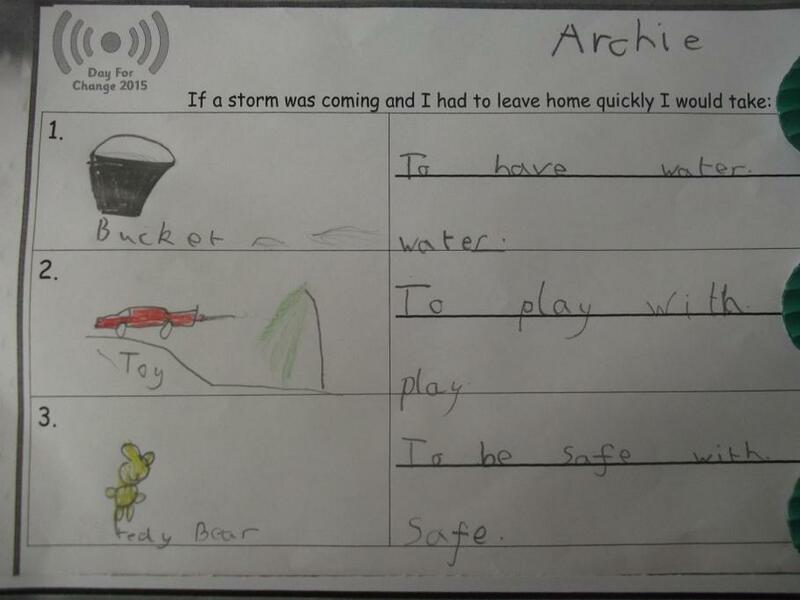 Mr Hills launched the day with a whole school assembly before children went off into their classes to think more about how such disasters might impact on children's lives and the different ways UNICEF helps to support them. 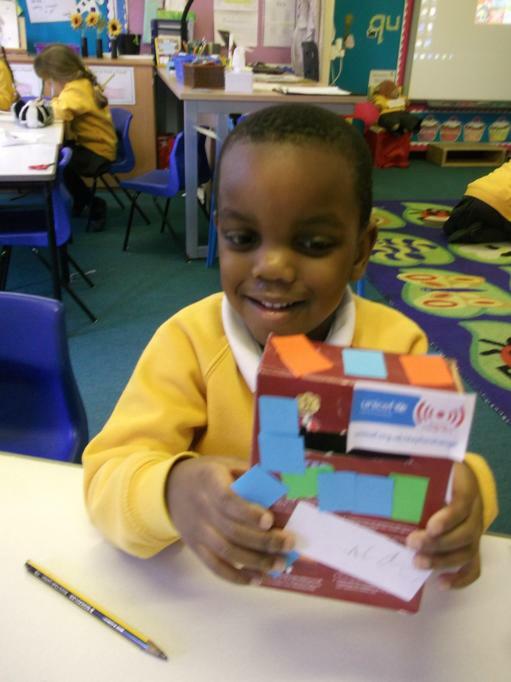 One such way is providing a 'school in a box' for children whose schools are no longer accessible to them. 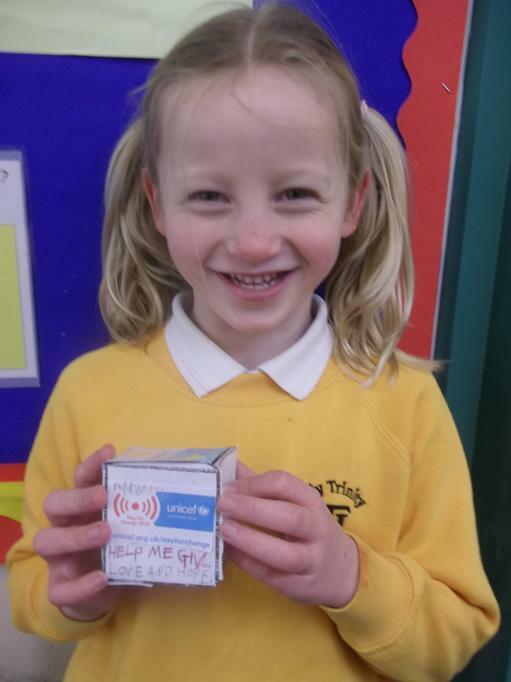 The box from UNICEF contains enough resources to set up temporary schools and support 40 children. 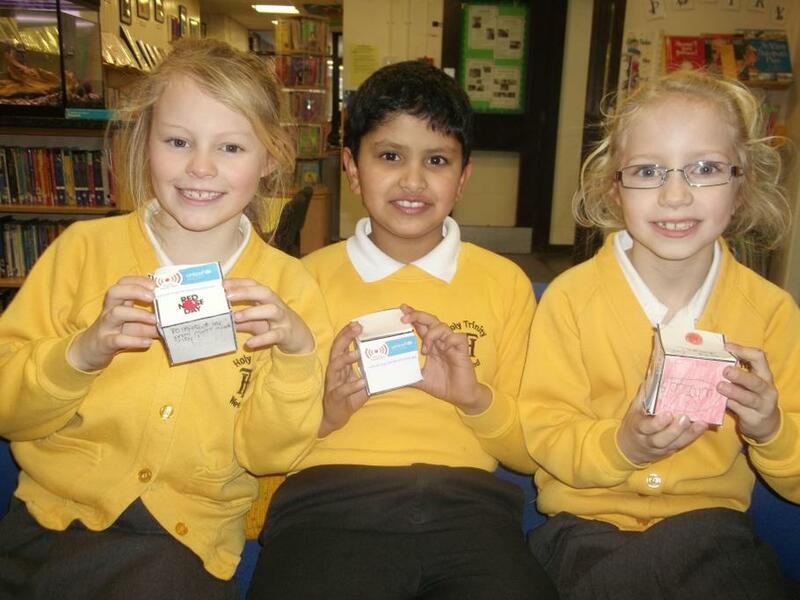 They cost £135 each. 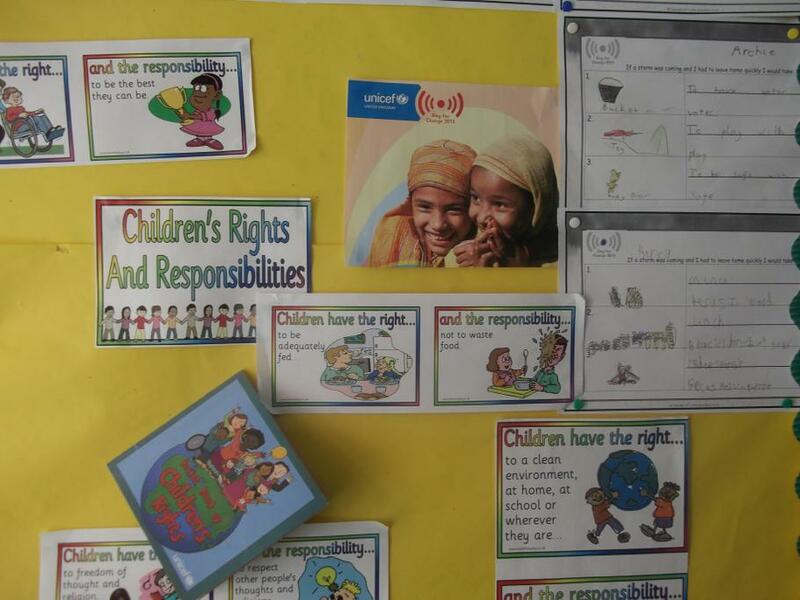 At school we have been learning about the UN Convention on the Rights of a Child and how all children have a right to a free primary education. 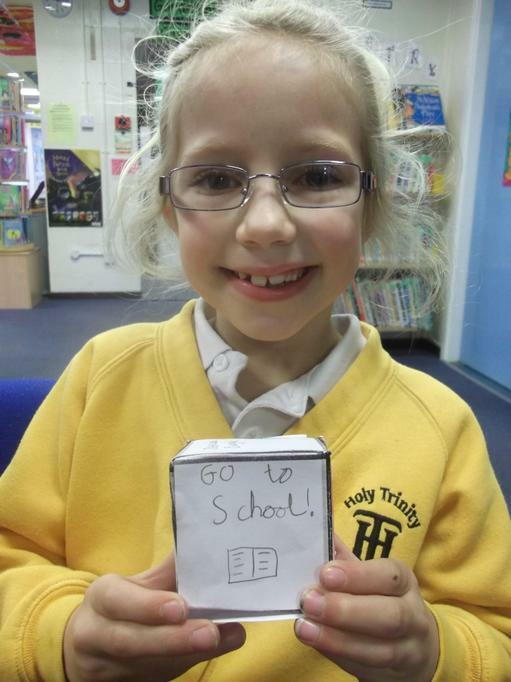 We thought about how fortunate we are at Holy Trinity to have such a good school with lots of wonderful resources to help and enrich our learning. 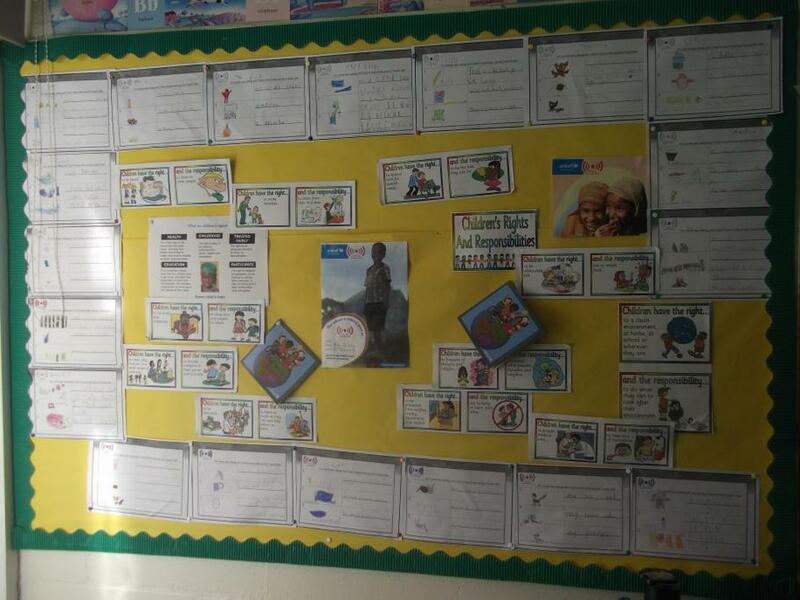 We also talked to the children about how it is our responsibility to help children less fortunate than ourselves. 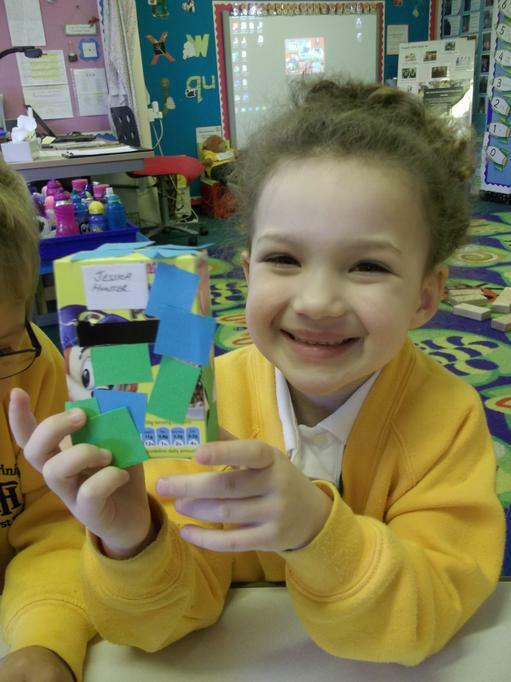 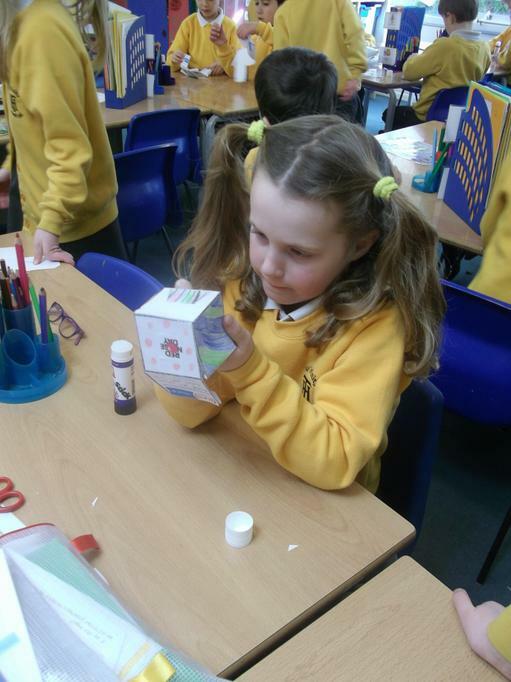 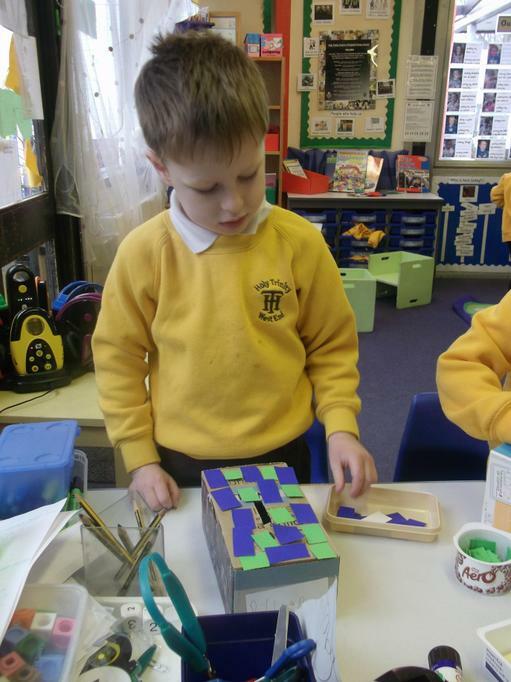 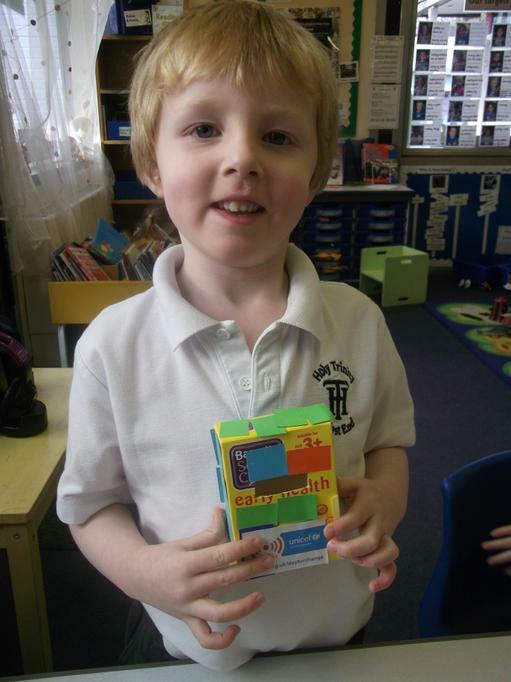 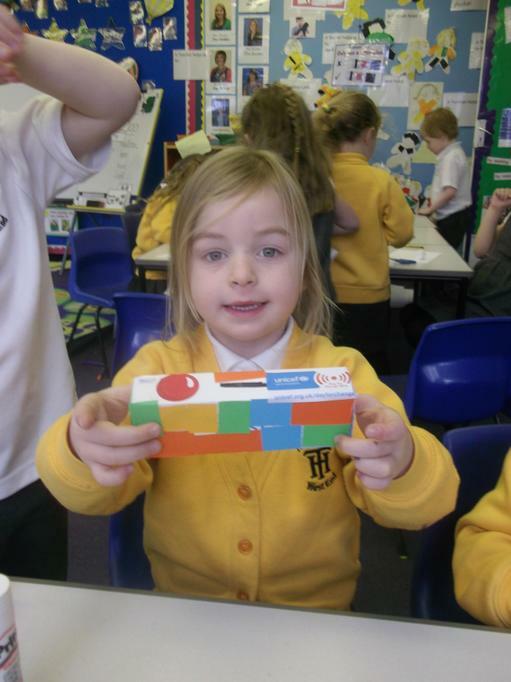 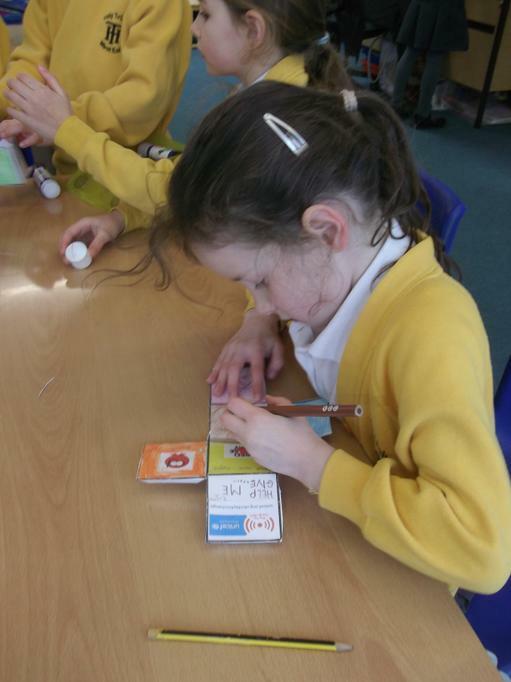 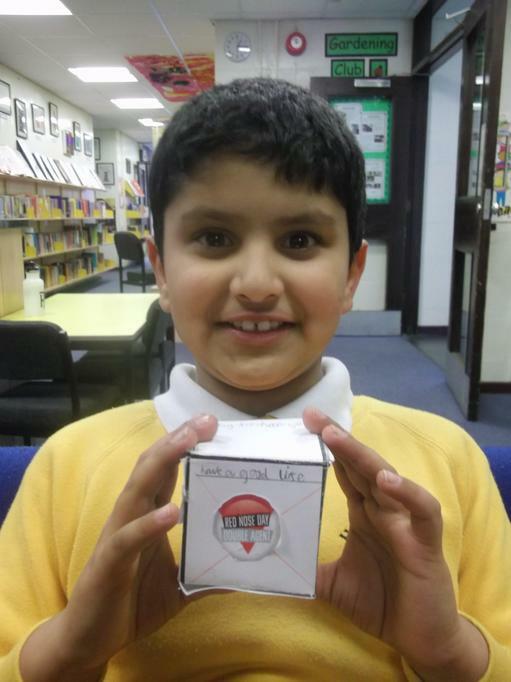 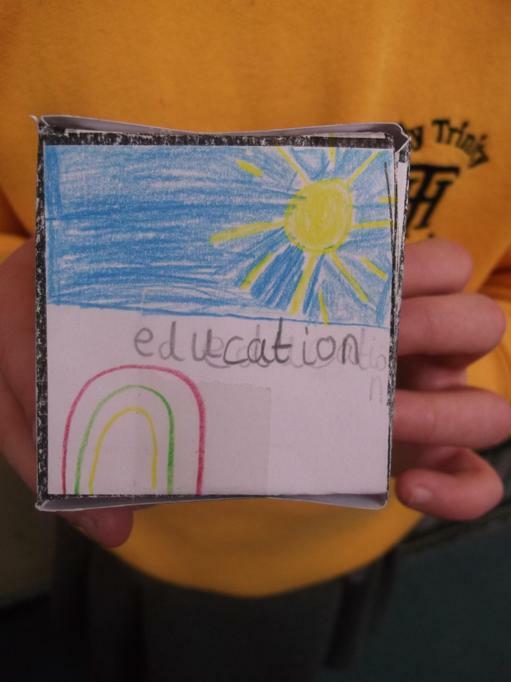 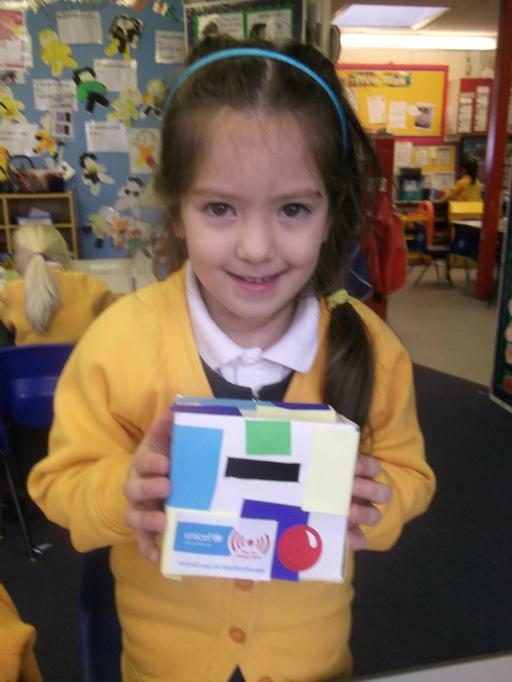 With this in mind, the children in school were all asked to make their own box to collect spare change at home to help raise funds to purchase a 'school in a box' to help children caught up in emergencies. 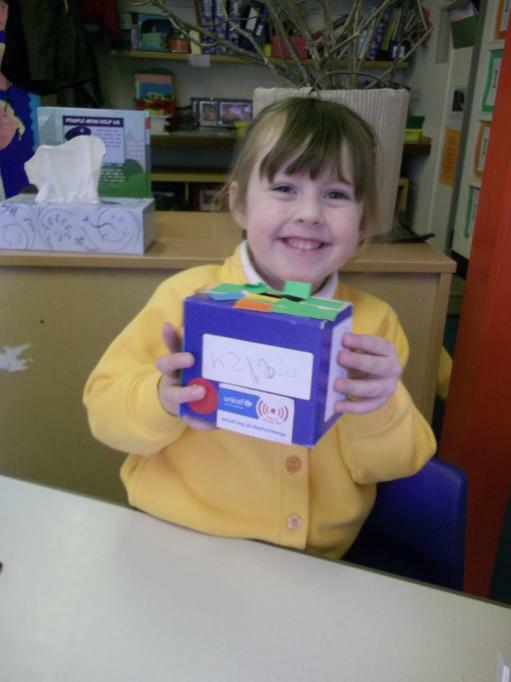 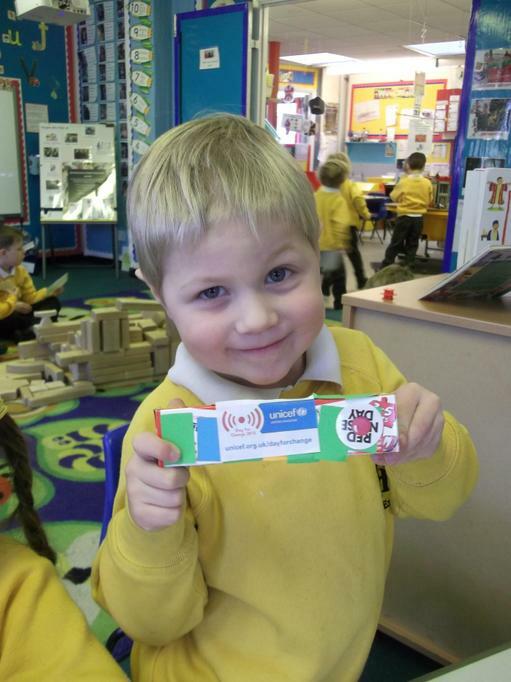 Children will be asked to bring their boxes of change back to school on Friday 13th March (Red Nose Day) to help change the lives of children affected by these disasters. 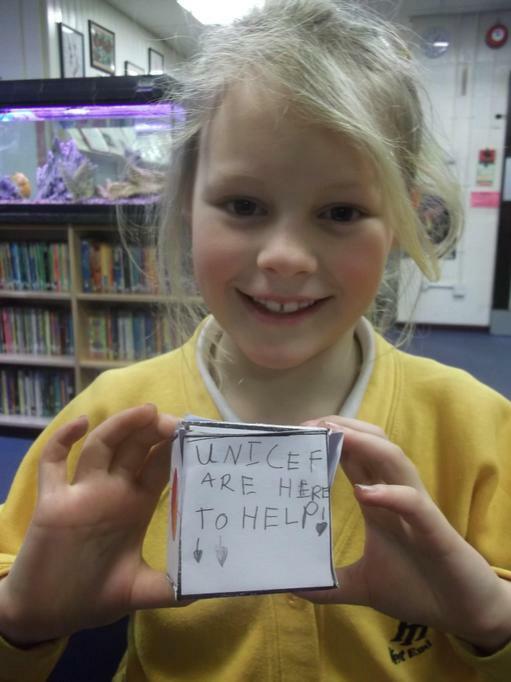 Half of the money raised will go to UNICEF and the other half to Comic Relief, another charity helping to ensure all children have access to education.